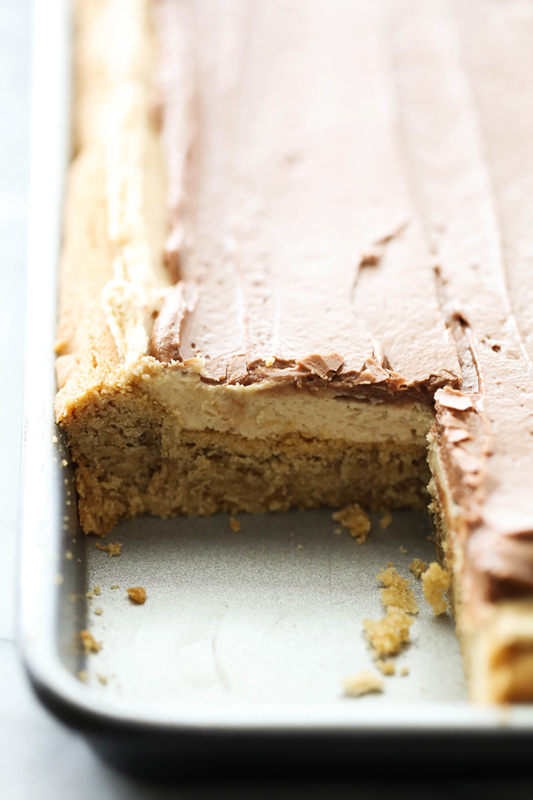 These DELICIOUS Chocolate Peanut Butter Cookie Bars have three incredible layers. 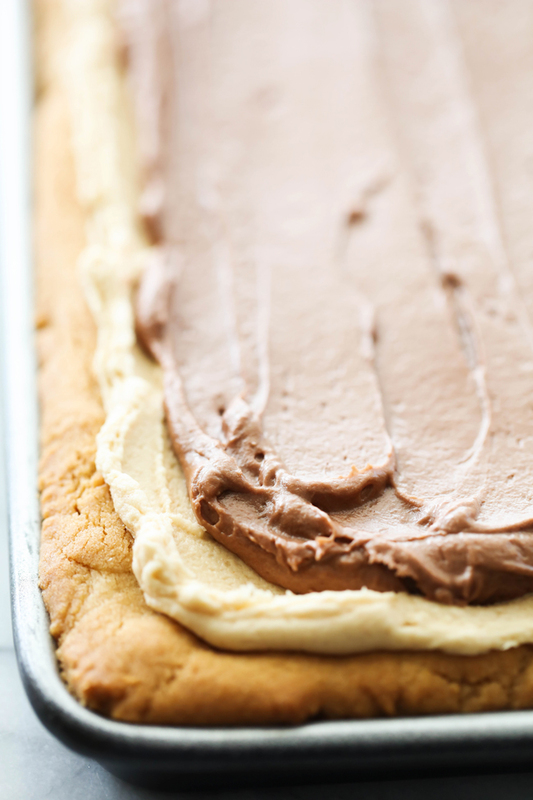 It begins with a soft peanut butter cookie base and is frosted with both a layer of peanut butter buttercream and chocolate buttercream frostings. These are sure to be a huge hit with all who try them! First off, thank you so much for your patience while I took a bit of time off after having my baby girl. She is absolutely beautiful and so sweet. She rarely ever cries and she has such a pleasant demeanor. We are so grateful to have her here safely and be able to snuggle her. It has been so hard to put her down! I just want to cuddle her all day long! Before I had her, I went on a cooking spree and have so many delicious recipes to share with you, today being one of those! Truth be told, and I have shared it with you before, I am not a huge peanut butter fan. I know, I am probably crazy but it is not my favorite thing. HOWEVER, these Chocolate Peanut Cookie Bars have me singing a different tune! Seriously. I could not stop devouring these delicious cookie bars and neither could anyone else who tried them! If you are looking for a simple and tasty treat, give these beauties a try! They do not disappoint! In a large mixing bowl combine butter and peanut butter and mix well. Add sugar and brown sugar and beat again. Add flour, soda, and salt and mix until just blended. Spray a 10 inch x 15 inch jelly roll pan with vegetable spray. Press dough evenly over pan and bake for 20 to 22 minutes or until golden brown. In a medium mixing bowl beat butter and peanut butter until smooth. Add powdered sugar, milk, vanilla, and salt and beat until creamy. 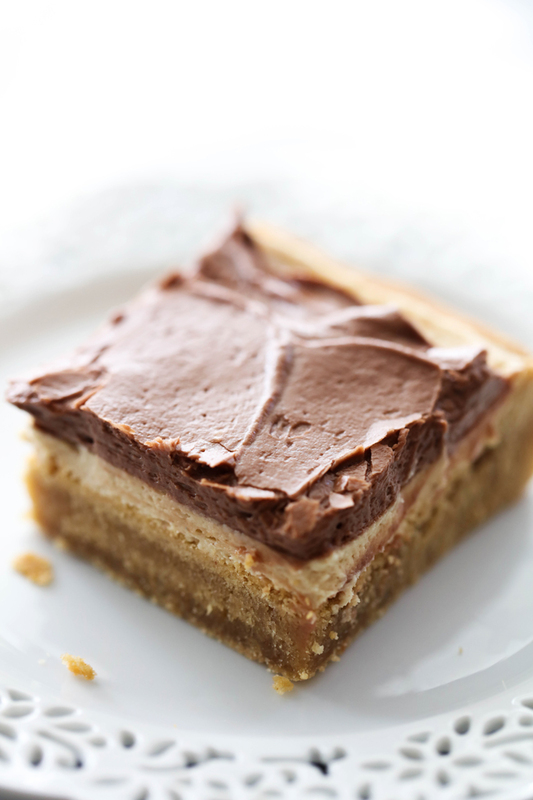 Spread over cooled peanut butter bars. In a medium size bowl combine all the ingredients and mix well until creamy. Carefully spread over the peanut butter frosting. How many bars does it make? It looks wonderful, but I'm wondering about that pound of butter!